With a compact footprint of 36″ x 32″, the DKT-200 offers a simple straight paper path that is gentle on easily-scratched, digitally-printed materials. 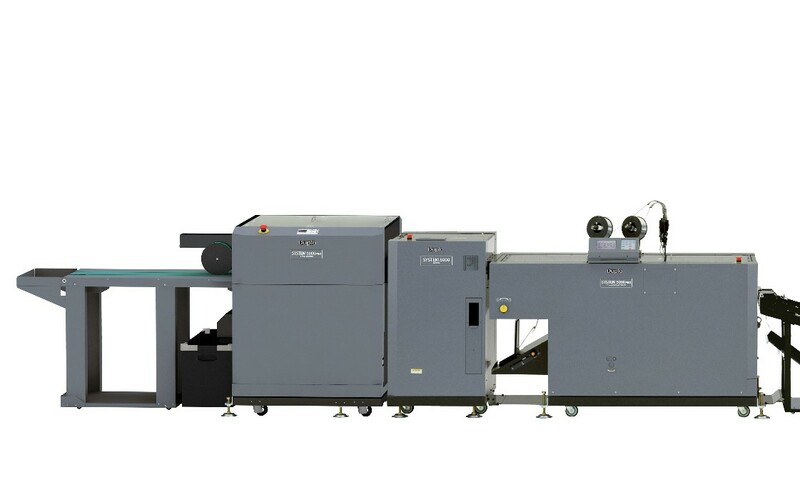 Available for Duplo collating and sheet feeding systems connected with the DBM-600 Bookletmaker or iSaddle System, the DKT-200 adds three-side trimming capabilities, enabling operators to cut the head and foot of booklets for a full-bleed finish. The unit can process up to 4,500 books per hour and up to 9,000 books per hour when processing 2-up applications using the optional gutter cutter. Full-bleed jobs can now be transferred directly from the press to the bookletmaker or saddle stitcher without the need to trim the sheets on a guillotine before or after.